Blue Bridge is excited to support hotel owners and vendors at the AAHOA 2017 Convention and Trade Show, taking place April 11-14, 2017, at the Henry B. Gonzalez Convention Center in San Antonio, TX. Please come visit us in Booth #1109. 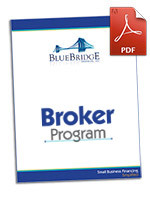 Hospitality is one of Blue Bridge’s most significant industry specialties. We provide the PIPs and FF&E financing that helps hotels maintain their brand image, through upgraded furniture, fixtures and equipment. We also facilitate vendor sales into this industry, by serving as a direct funding partner. AAHOA, the Asian American Hotel Owners Association, is the largest hotel owners association in the world. AAHOA members own almost 1 in every 2 hotels in the United States. With billions of dollars in property assets and hundreds of thousands of employees, AAHOA members are core economic contributors in virtually every community in the United States. As an association, AAHOA is a proud defender of free enterprise and a leading example of the ongoing realization of the American Dream.